Legislators at the helm of key House and Senate committees say they will try again to reach a broad agreement on the path forward for the state’s mariculture industry. A bill that would have established a new leasing program and new rules to encourage mariculture in state waters failed in the final days of last year’s session of the North Carolina General Assembly over concerns that it could close off too much of the coast to other uses. Last year’s bill, championed by former Sen. Bill Cook of Beaufort County, initially envisioned of up to 2,000 acres that were designed to draw large-scale operations. As negotiations wore on, the size of the leases was reduced, and a final compromise plan capped the total leases at 200. But opposition to the bill wasn’t limited to the size of the leases, and the compromise broke down over concerns about how quickly leases would proliferate, as well as the permitting process itself. In the interim, the legislature turned to work underway at the North Carolina Policy Collaboratory at the University of North Carolina Chapel Hill on a broader study of the state’s oyster programs and the economic and policy challenges to expansion. The collaboratory’s report, which included a strategic plan for growing the shellfish industry over the next 10 years, took an in-depth look at the goals the state was setting and the strategy for obtaining them. It found that, given the conflicts with multiple uses of public trust waters, large-scale operations such as those in Virginia and Louisiana would not work in North Carolina. Researchers turned to a strategy based on keeping the sizes of leased areas smaller and concentrating on increasing productivity. The new bill in draft form includes potentially controversial moratoriums on shellfish leasing on the southern coast. 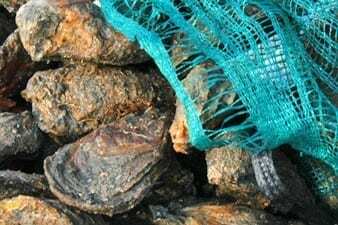 It would also allow permitted shellfish nursery operators to, under certain times and conditions, transplant seed oysters and seed clams from areas where harvesting is otherwise prohibited or restricted. Speaking Tuesday at the annual North Carolina Oyster Summit in Raleigh, Rep. Pat McElraft, R-Carteret, and Sen. Norm Sanderson, R-Pamlico, said they plan to introduce new legislation that addresses concerns from a variety of groups about the size and extent of the leasing program. McElraft said other coastal states had the same conflicts when they began to address shellfish issues and had to address them. North Carolina is no different, she said. “We do not want a fight between our shellfish growers and our tourism industry and others. We want everybody to support the shellfish industry,” she said. McElraft said the new bill had been sent to stakeholders in draft form and that there were already suggestions for changes. She said the new bill would include Shellfish Enterprise Areas, or SEAs, to establish areas that would be optimal for shellfish growers and don’t present conflicts with other users. Those areas would be set up and “ready to go” for shellfish growers. Other areas, where there could be conflicts, would go through a stricter permitting process that would provide for public comment and feedback from other users. Sanderson acknowledged the headwinds encountered last year and the difficulty of working on a solution, but said he was committed to making new legislation happen. “The reason I am willing to go after this again is because of its potential for North Carolina,” Sanderson said. The benefits, he said, would ripple through the economy beyond just improving opportunities for shellfish growers. But he warned that this is a key session for the shellfish industry. If a bill doesn’t move this year, he said, it would likely be two years before another one could be considered. Sanderson said he was optimistic that a bill can be drafted to resolve the conflicts. Anytime you can get commercial and recreational fishermen together on a piece of legislation “you’ve done something remarkable,” he said. The new bill, he said, is heading in the right direction, based on initial feedback. “I think this year is going to be different,” Sanderson said. The new bill, he said, is needed to help lay the necessary groundwork to guide the growth of the industry.